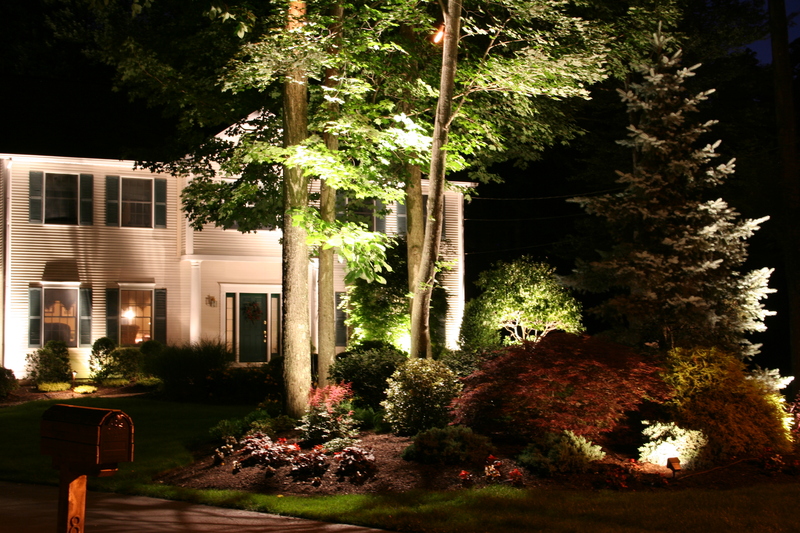 ← Outdoor lighting should be left at the hands of an outdoor Lighting designer not a yard man. Finish Pointing is such the criteria for finalizing and perfecting the lighting scene of the intended outdoor lighting design . Who is doing this? Are you charging customers for this specialized service? Over the years we would create a per fixture charge which would be inclusive of pretty much everything it took to put the outdoor lights in position, engineer, and install. Within the past few years and thousands of fixtures later, our night time experience and vision has created endless possibilities. 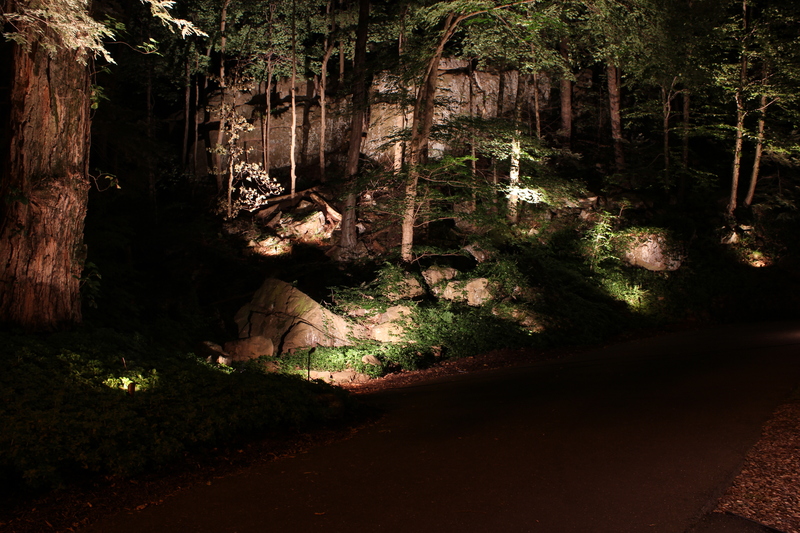 The types of fixtures, the light intensity and beam sprays are the staple ingredients of outdoor lighting. However its the spices that make for a tasty meal that you come back for. This interaction of fixture types amongst the landscape is the drama and backbone of such inspiring night time work. The inspiring gardens come to life when properly illuminated. Being a nurserymen and having worked in the landscape industry my whole career, I feel very competent in my Landcape designs such as this one above is to include lighting. Everyone has seen shamu the whale. not many a great Lighting Job. Its my job as the principle LED night lighting Designer to create, envision and bring forth the best of the Landscape, Hardscape and Architecture of th residence. This is the stage that finish pointing takes place. As you can surely recognize there are hot spots and off set light imbalance. Alot of this can be avoided by tinkering with the shield. Lots of times, a simple pull back on the shield pointing up and parallel to the house is all that is needed to remove the glaring torch effect. So this is done during the Finish pointing Lighting phase. 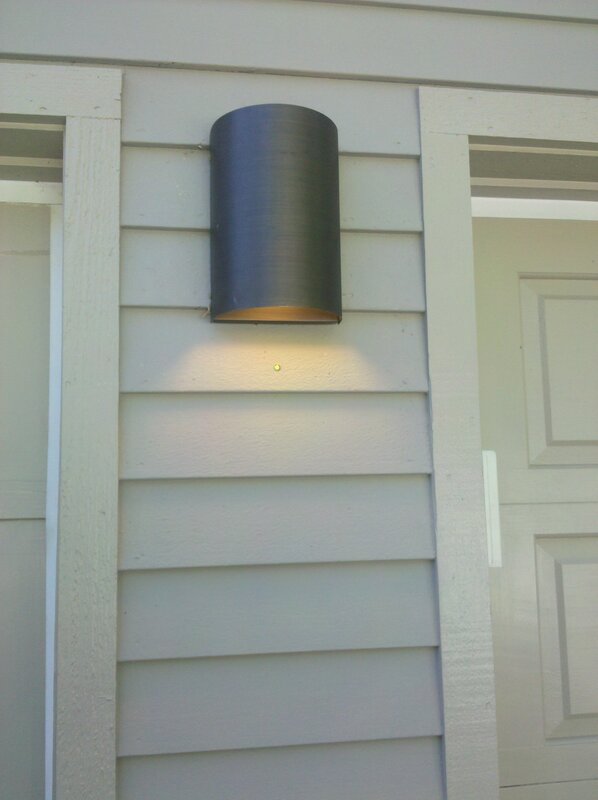 The shield pull back eliminates alot of the layering and deep shadowing of siding. I am a night time photographer and find this particularly interesting in various ways. Not only do I use the pictures in the sales approach. I also show my apprentice the discrepancies in the lighting and can usually help balance off the lighting by reviewing the pictures. 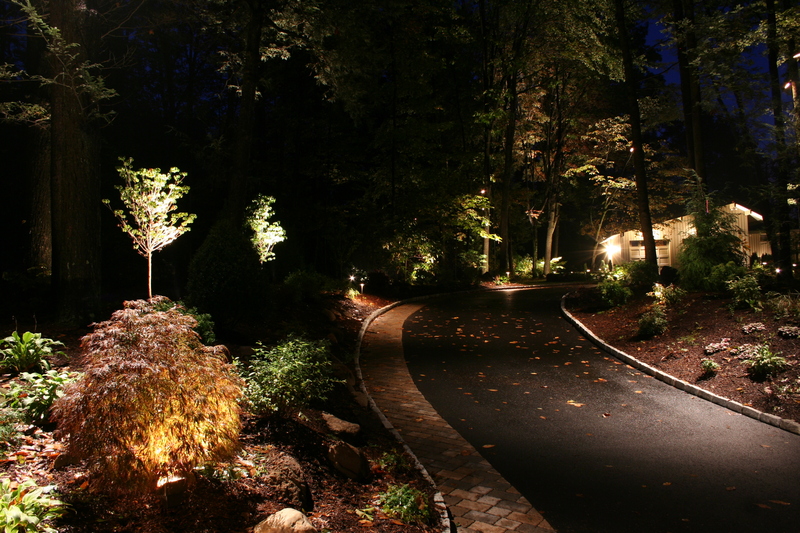 Thirdly it helps to contribute tostrategic placement of the lighting fixtures amongst the Landscape. You can come close during the day setting things up, but finished locale of the outdoor fixtures is best achieved at night. Sometimes it gets challenging as fixtures derive the price and level of the job. However, a free or rear loaded lite demo helps the homeowner see the fixture count for themselves and makes the involvement of the job conclusve. Were always looking for perfecting the lighting Design. Look at the change over of the Glaring garage light. 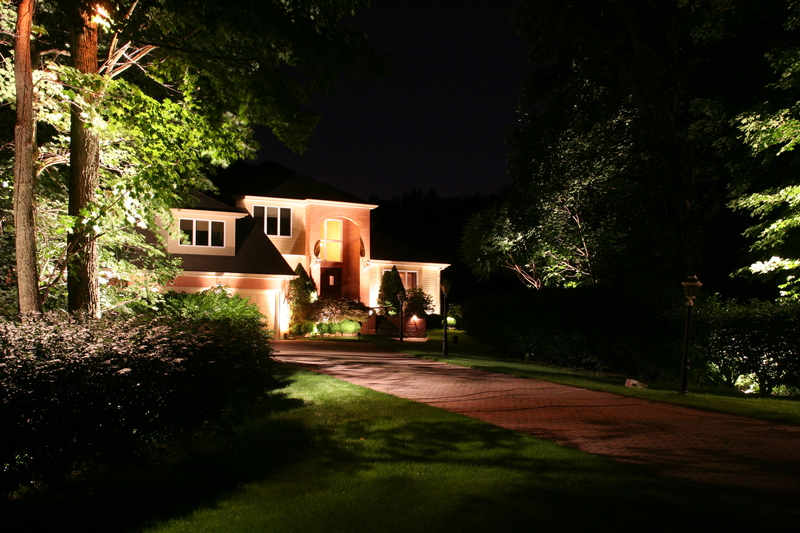 This os one more great example of hiring a professional night lighting designer who is willing to visit the site at night to perform the task of finish pointing and a good outdoor lighting designer will always make future recommendations to further enhance the night lighting scene. Finish pointing just as important as the outdoor lighting design. This entry was posted in designing outdoor security lighting, Home security, how to add outdoor lighting to your existing security system, landscape lighting, led lights, led Outdoor Lighting, lighting automation, night lighting, nightlighting, outdoor lighting, Outdoor Lighting / Low Voltage Lighting, outdoor security lighting, Preferred Properties Landscape designer, Preferred Properties Landscaping, Preferred Properties Landscaping and MAsonry, secure your home from the unkown by lighting designer Michael Gotowala of Preferred Properties Landscape lighting, Uncategorized and tagged Landscape lighting designer, LED LIGHTING, LED outdoor lighting designer, LED outdoor lighting fixtures, night lighting, nightlighting designer, outdoor lighting, Outdoor lighting designer. Bookmark the permalink.